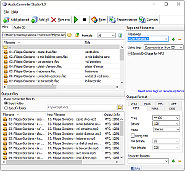 Convert audio between popular formats and rip Audio CDs. 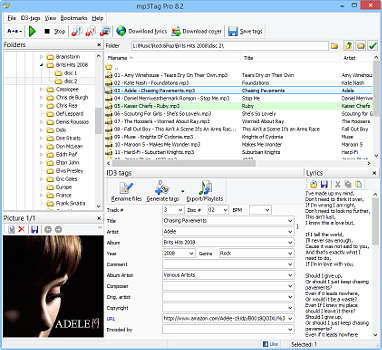 MP3, FLAC, APE, OGG, and other formats are supported. Convert M4a, M4b, MP4, and other similar formats into MP3 or WAV. A completely free program. Convert MIDI to MP3, WAV, WMA, OGG Vorbis. Let your MIDI sound better with new SoundFonts. Cut and merge MP3, WAV, WMA, APE files. Split files using CUE sheets. Record sound directly to MP3. Includes a sound detection feature. 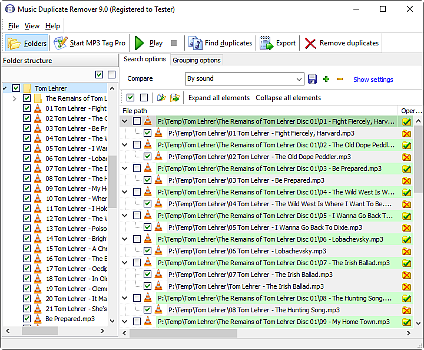 Burn Audio CDs with CD-Text out of your MP3, WMA, OGG files. Convert MKV, MP4, AVI, WMV, and other videos. Rip DVD and Blu-Ray. Organize your movies and TV series, download information about movies and actors. 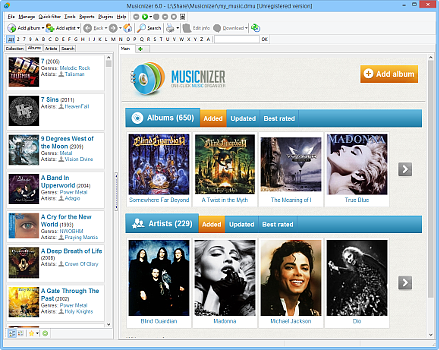 A powerful music organizer. Download discographies of artists, reviews, covers, photos, and more. Organize your paper books, e-books, audio books in one program. Copy and synchronize your e-books with e-readers. Edit ID3 tags and rename audio files easily. Download lyrics and album art. 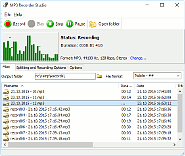 Find and remove duplicates of audio files by ID3 tags, file parameters, or by sound. Create and upload new ringtones to your iPhone easily.